Gresham-area residents who've visited the long-running Reel M Inn in Southeast Portland likely know the rich specialness of the establishment's fried chicken-and-jojo combo. With the recent opening of Bella's Pub and Grub at 1888 N.W. Fairview Drive in Gresham, they can savor the all-purpose comfort dish in their own backyard. Troutdale couple Stacy and Rick Byer opened the small, but inviting restaurant and bar in the former Lucky Pint space next to the Furniture Connexion store late last year. Stacy Byer, who serves as business manager and co-owner of Reel M Inn, which her parents have owned for 20 years, decided to bring a little old-school Portland bar culture to East Multnomah County. "Chicken and jojos, that's what people go there for," she says of Reel M Inn at 2430 S.E. Division St., noting the establishment's high ranking among "dive bars" on dining website, thedailymeal.com. "It's just an old dive bar." She and Rick named their new place after Bella, their black lab hunting dog. 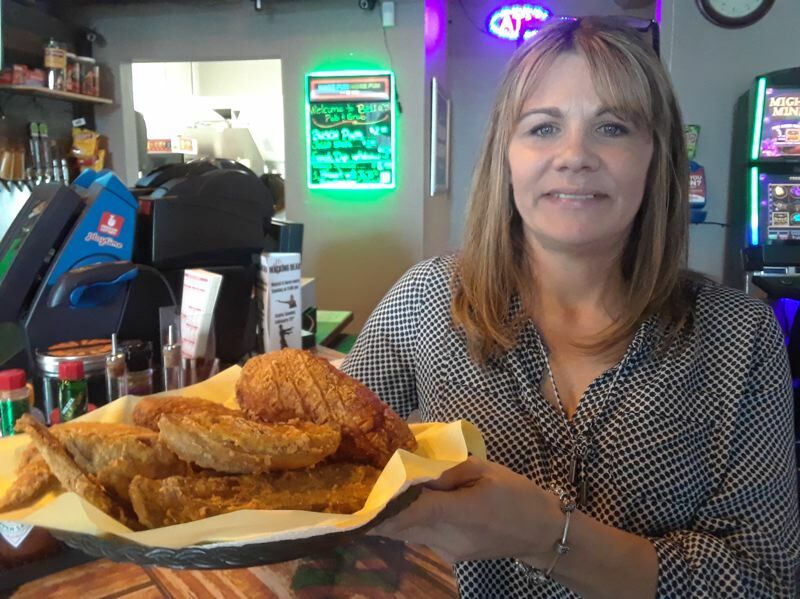 After a makeover of the high-ceilinged space and a few renovations to accommodate their kitchen needs, Bella's is now able to serve its full menu, which, in addition to the house speciality, includes chicken strips, hot dogs, biscuits and gravy, nachos, tater tots and other snack items. As expected for a casual, neighborhood establishment, the prices for lunch and dinner won't break the bank. A four-piece chicken combo basket including a breast, thigh, leg and wing — with four jo-jos — is $8.75; a three-piece combo is $8.75, and a two-piece goes for $7.50. For the uninitiated, a "jojo" is casual-dining lingo for a hunk of fried potato that's seasoned and breaded. Byer puts her family recipe and made-to-order preparation style — handed down from her parents Cathy Myers and Paul Meno — against anyone's chicken-and-potato dish offerings. "The chicken is huge. The jojos come from a big potato cut in fours," she says. "We use fresh chicken, not frozen. We get it delivered a couple times a week. It's cooked just right, with just the right crispness. The whole thing is just yummy." Beyond the culinary attractions, Byer built on the Lucky Pint's ambience and offerings, retaining the 30-tap beer array and lottery games, but adding a pool table and increasing the emphasis on comfortable place to eat as well as drink and socialize. "We looked at three other places. This was the nicest one we saw, and the best location," she says. "We're just making it a cozier place to come." Despite a handful of casual watering holes in the general area — Spud Monkey's and Jackpot Bistro among them — Byer views them as options rather than competition. "You can't go to Spud Monkey's and get fried chicken and jojos," she observes. "But the lottery (players) go from place to place. If they're not winning at the Jackpot, they come here. If they're not winning here, they go over there. New people come in every weekend." 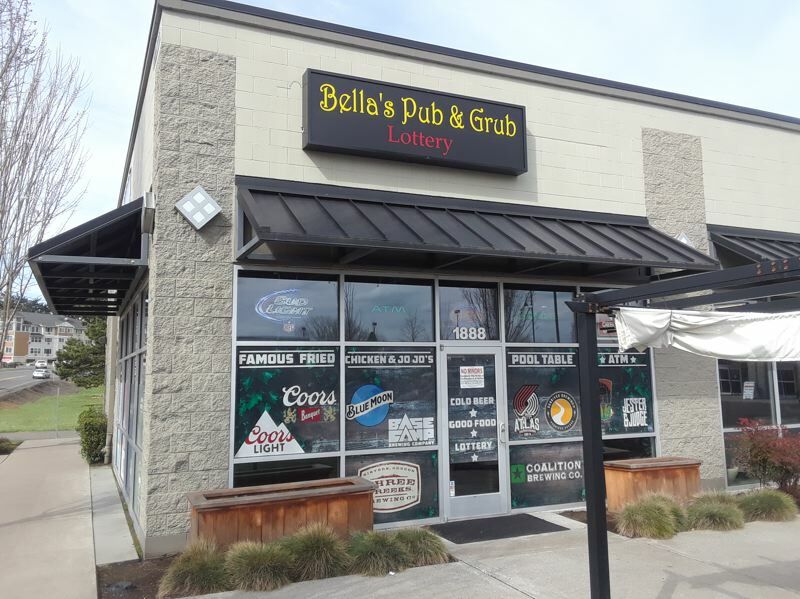 Particularly for her first venture in starting a business, Byer is confident Bella's has the right combination to connect with the casual-dining community in Gresham. "I think we're doing it all right," she says. "I think Gresham is ready for (our) chicken and jojos. People know about Reel M Inn, and it's bringing people in a lot faster than I thought."